Call out to all Caseworkers/ Senior Caseworkers who are looking out for opportunities to work with Aboriginl Families and Children. The role will be responsible for the provision of service coordination, case management, assessment and intervention, early parenting support and practical assistance and advocacy. We have more that 50 programs across the state. 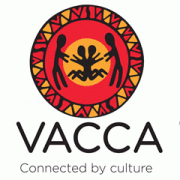 VACCA designs, develops and delivers programs with self-determination and an understanding that the intergenerational trauma experienced by our community requires intergenerational and community healing. Please quote in application: EOI- Caseworker/ Senior Caseworker via Pro Bono Australia.